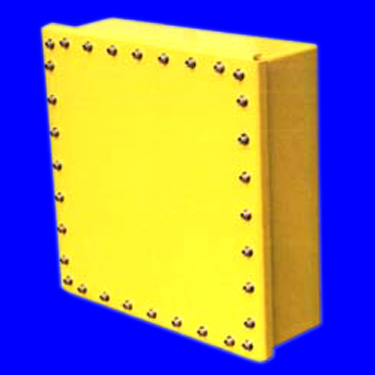 Welcome to Nemaco Technology's reference section that provides technical information for many types of NEMA enclosures. Nemaco has dedicated a technical section for each type of NEMA enclosure. This technical reference section is about the type NEMA 6P Enclosures, you will find detailed information for the NEMA ratings & defintions. 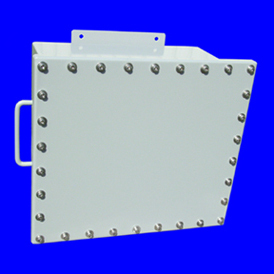 Nemaco will try to provide some samples of NEMA 6P enclosures in this section. Also and whenever possible we will provide internal and external photo images of the enclosures. You can call Nemaco for additional information if needed so you can find the correct enclosure for your industrial, commercial or military application. 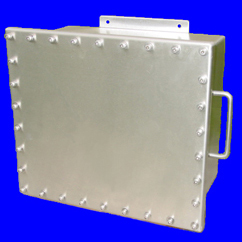 Nemaco Tecnology offers NEMA 6P enclosures fabricated from 304 and 316 stainless steel. The stainless steel NEMA 6P provides greater durability than plastic enclosures and provides corrosion resistance. Also, 316 Stainless Steel offers more corrosion resistance than 304 stainless steel due to the additional chrome content contained in the metalurgy. The process of stainless steel pickling and passivation should be done for additional corrosion protection for some applications. Disclaimer: The information provided is provided as courtesy to potential customers and engineering companies for basic conceptual enclosure information. This information should not be necessary used for enclosure design.